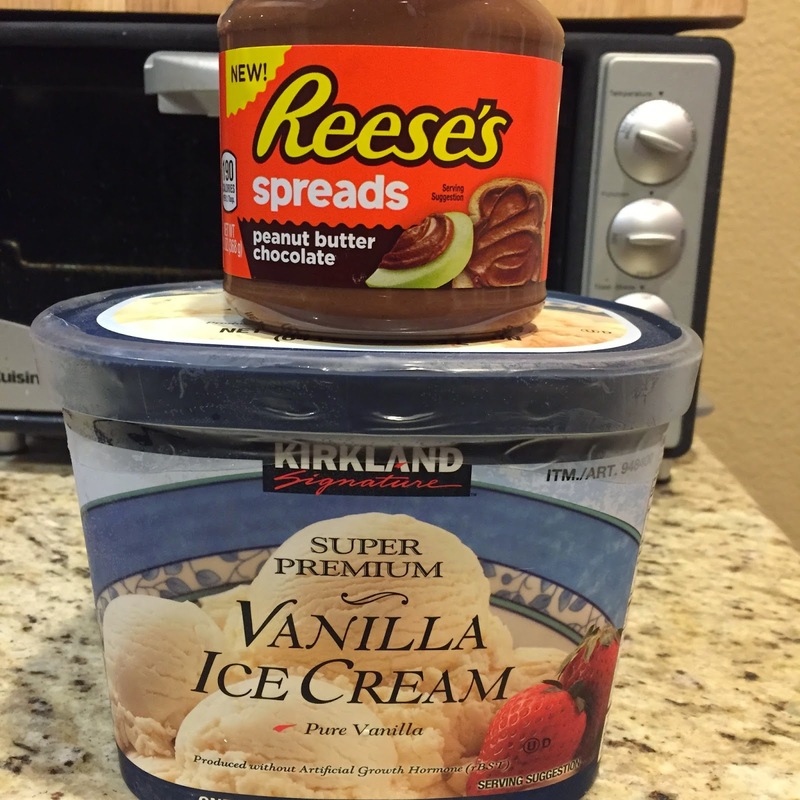 Running with SD Mom: Friday Fascinations - Reese's Spreads! Welcome to my first Friday Fascinations of 2015! 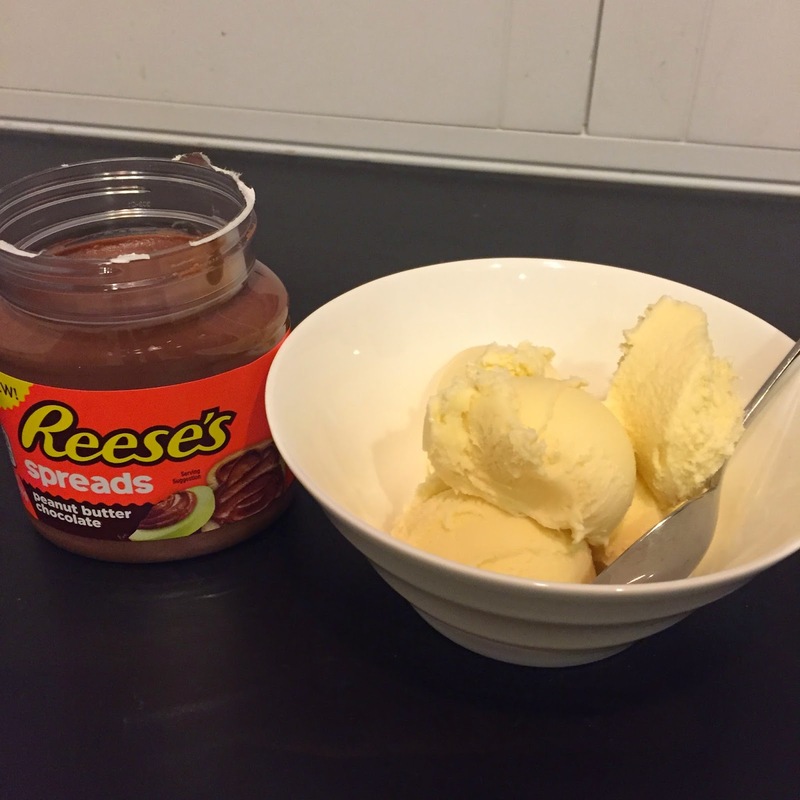 And what better thing to tell you about than Reese's Spreads. This is Reese's answer to that hazelnut chocolate concoction. You know what it is ... I won't say it! But let's be serious?! Aren't peanuts better than hazelnuts? Unless it is flavoring your coffee? Yes folks! This box contains Reese's Spreads. They are available nationwide at food, drug and convenience stores and retail for MSRP $3.89 a jar. Please note for the record, I am not in any way shape or form claiming this to be healthy. This is a decadent treat. So even though I think it would be delicious with apples or a banana, if you are going to go bad, go bad all the way. 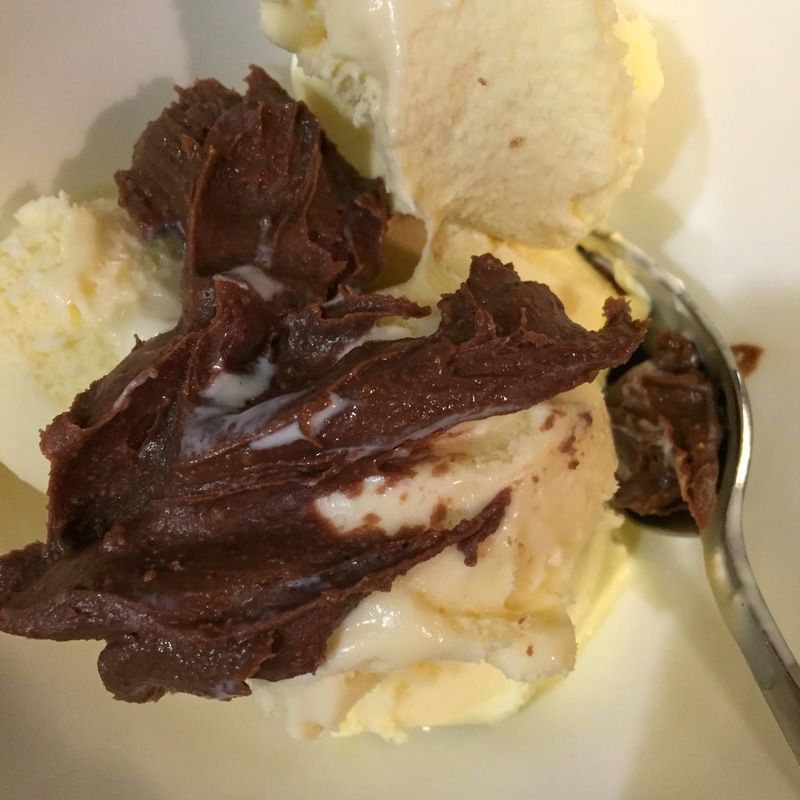 Why not mix it with Costco's Vanilla ice cream? (best mass market vanilla in my opinion, by the way!) Good Grief but this stuff is amazing! It tastes exactly like it looks! Like a melted down Reese's PB Cup but with more chocolate. 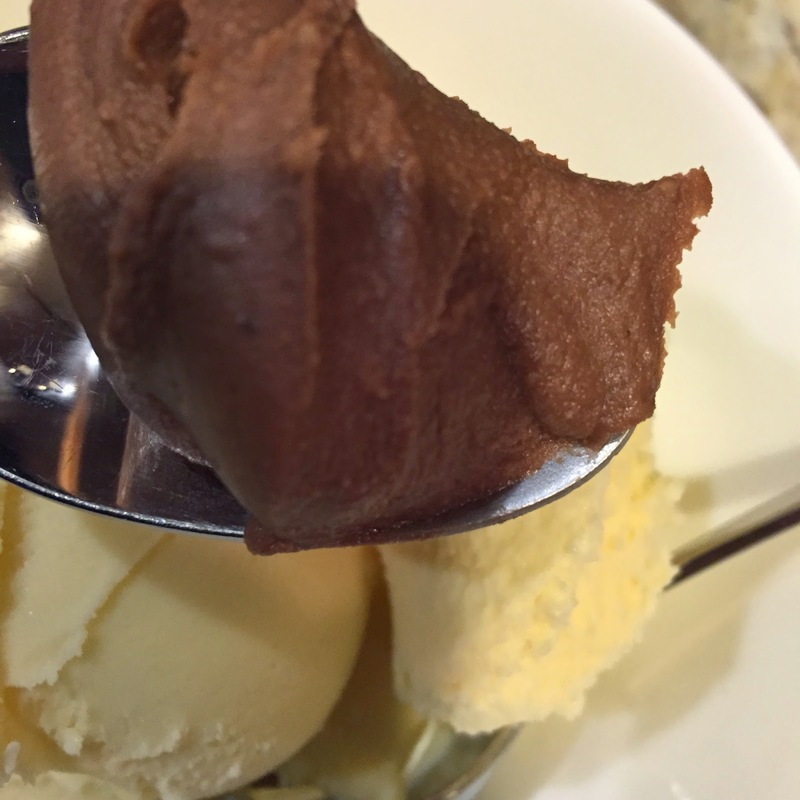 Okay one more picture...I am sorry but you need to go get this and have a tablespoon of it whenever you need a little decadent naughty treat ... or on a Tuesday. Okay no more! I think I went into a sugar crash just writing this post. This is definitely a must try! I imagine it on frozen banana slices or with pretzels or with ... ? 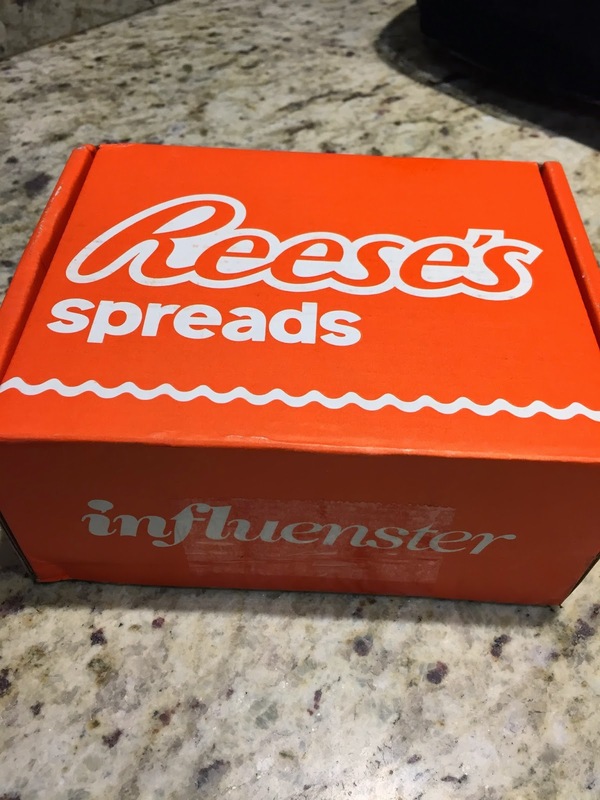 I received Reese's Spreads complimentary from Influenster for testing purposes. Have you tried this before? What would you pair it with? I'm awaiting my box in the mail...can't wait to try, but it's got to be good to surpass Nutella! That looks ah-maz-ing! My favorite candy is Reeses peanut butter cups so I probably would not buy this because I wouldn't be able to trust myself, lol. I would eat the whole thing in record time!! My husbands too! This stuff doesn't stand a chance! Looks amazing but Oh So dangerous much like just having that big size ice cream in the freezer! I'm going to your house after my next long run! It was left over from the holidays. You know how it is at Costco...gotta buy 2 even though you only need 1! I also got this!! My favorite pairing... a spoon. Haha, honestly. Seriously! That is how we have all been eating it! Ahhhh looks sooo good! Would prob pair well in a Banana Almond Milk Smoothie!